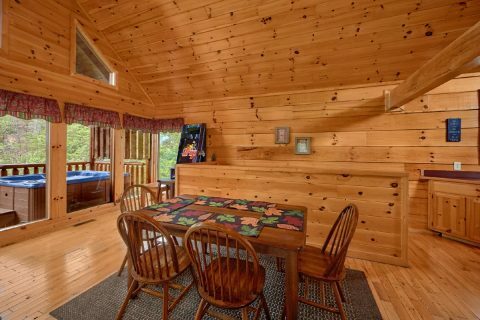 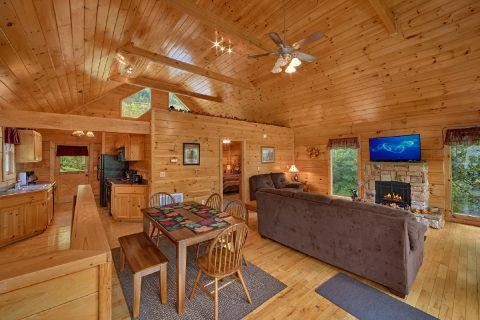 Located in the beautiful Black Bear Ridge Resort area, you'll find "Radiant Ridge," a premium 2 bedroom cabin rental that sleeps up to 6 guests in comfort. 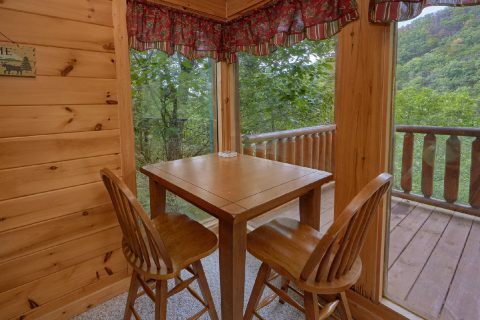 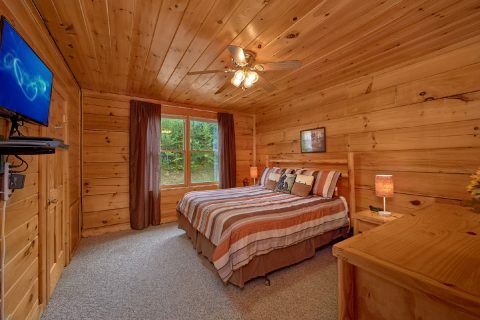 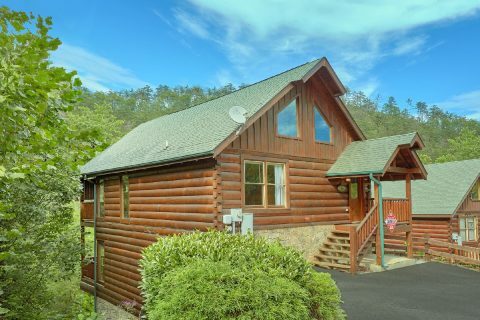 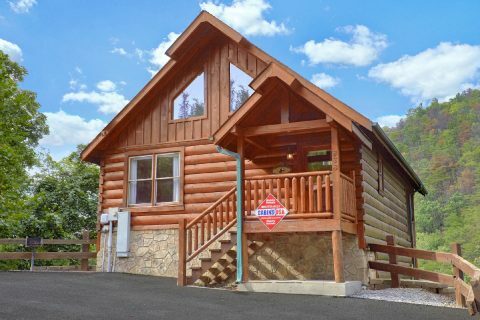 Not only is this affordable cabin just the right size for a family vacation, but it also offers a great location for exploring the Smokies and plenty of luxurious amenities to make your stay a true delight. 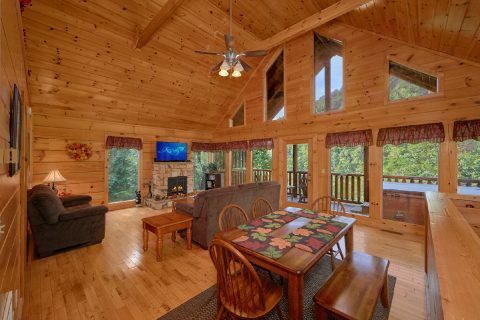 From this rental's lovely wooded location, you can easily reach Downtown Pigeon Forge that's less than 5 miles away from the action-packed Pigeon Forge Parkway. 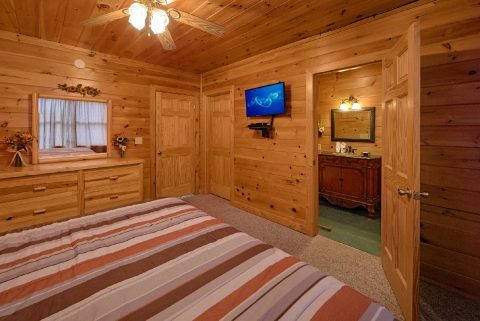 As a result, guests have quick access to attractions like Dollywood, the Titanic Museum, The Island, and more. 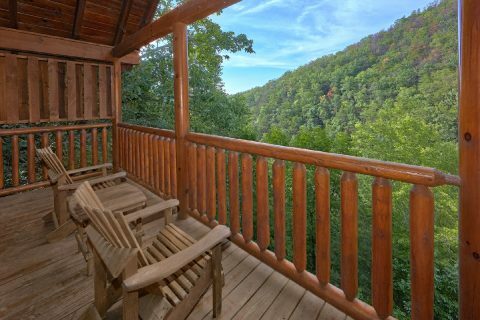 Additionally, this rental is less than 10 miles away from Downtown Gatlinburg and the Great Smoky Mountains National Park, where you can explore miles of hiking trails, beautiful waterfalls, and historic sights. 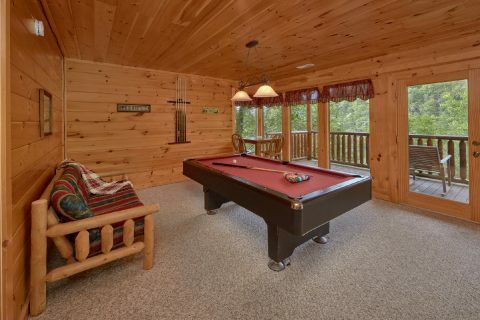 Back at this cozy cabin in the mountains, you can always enjoy amenities like the hot tub on the deck or the pool table in your cabin's game room. 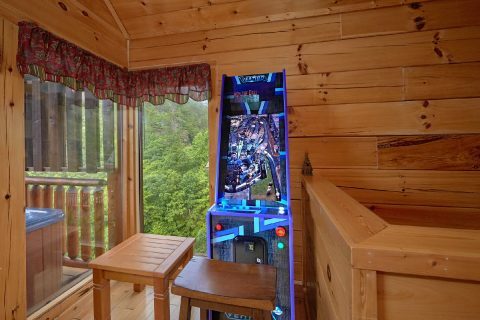 "Radiant Ridge" also boasts a virtual pinball stand up arcade game on the main level that features several pinball games and regular arcade games. 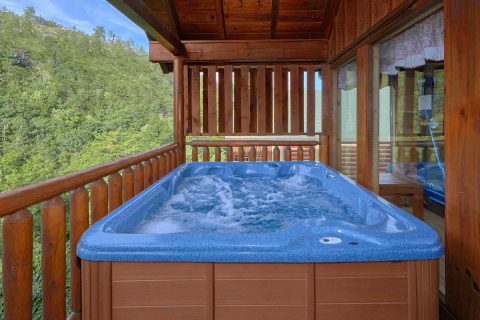 Better yet, during the warm summer months, you'll have access to the resort swimming pool in Black Bear Ridge Resort. 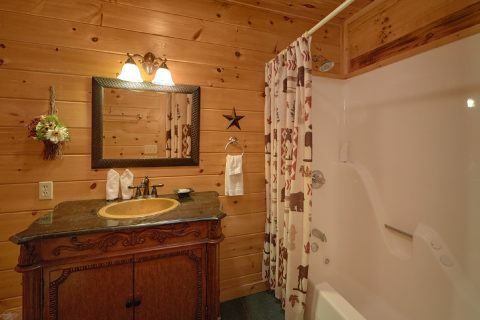 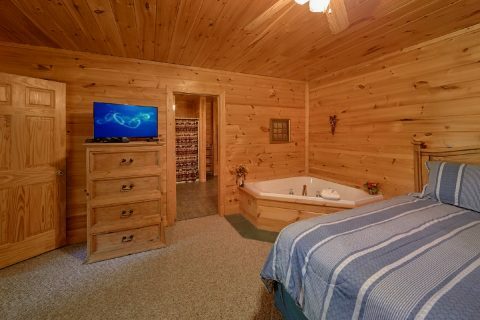 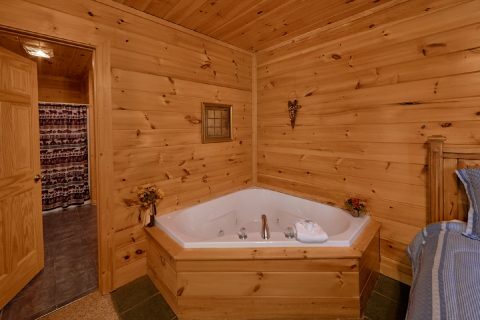 For a relaxing soak in privacy, your cabin also offers a jacuzzi tub. 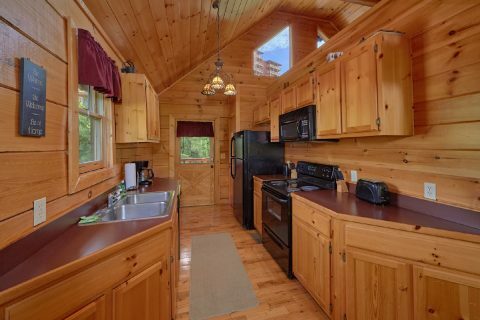 With this cabin's full kitchen and charcoal grill, you can make delicious dinners during your stay and save your money from being spent on meals in town. 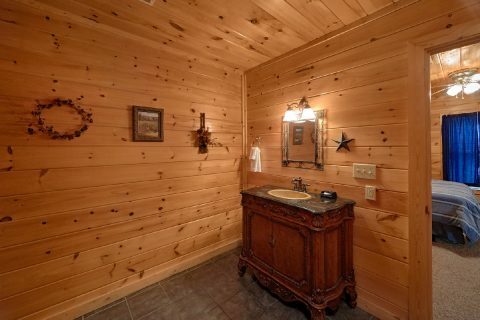 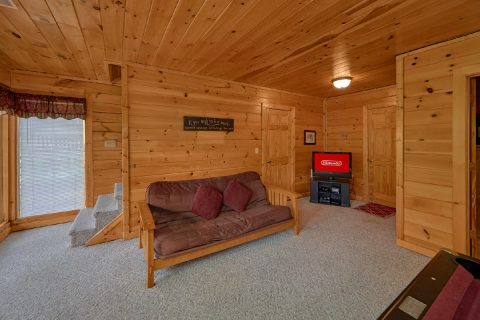 Additionally, this cabin comes with other practical features like WiFi Internet, an electric fireplace, and a washer/dryer. 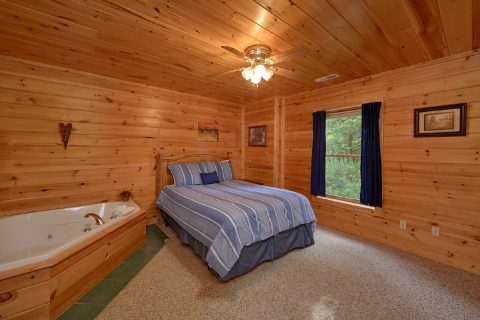 Once you're ready to get a goodnight's rest, your cabin offers a king bedroom with a private bath and a jetted tub, a queen bedroom with a jacuzzi tub, and a sleeper sofa in the living room, so this rental can accommodate up to 6 guests in comfort. 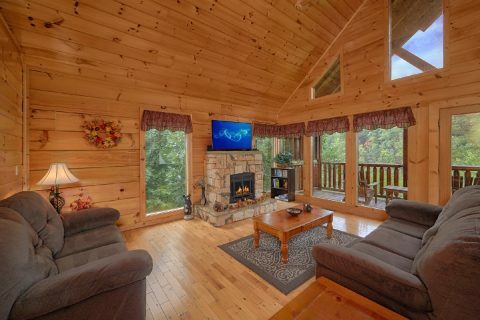 Last, but not least, you can save on "Radiant Ridge" with our special 15% cabin discount! 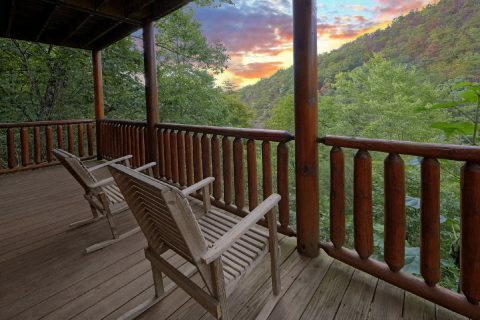 Simply book this rental online with Cabins USA to save on your nightly rate in the Great Smoky Mountains of Tennessee!